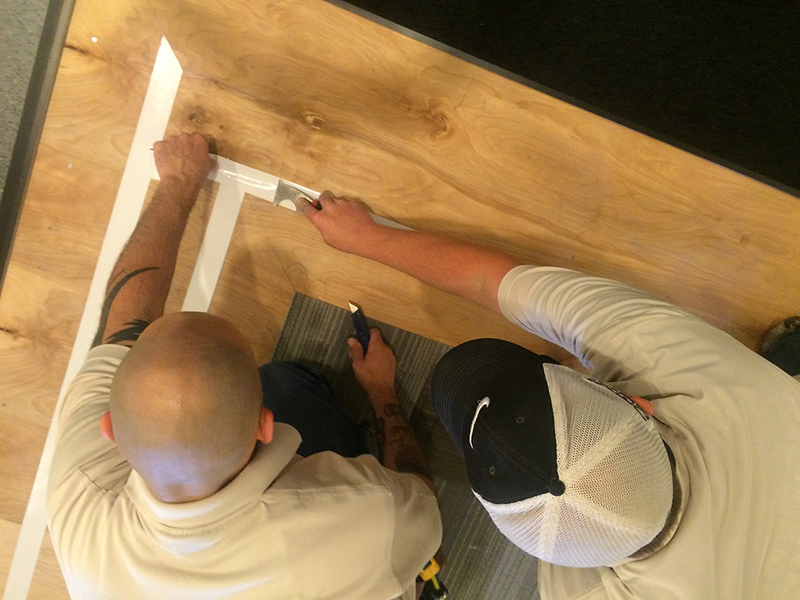 Installation of carpet, tile, linoleum, resilient, resinous, wood, and other flooring material involves planning and skill using a variety of hand and power tools as well as many simple and complex techniques. 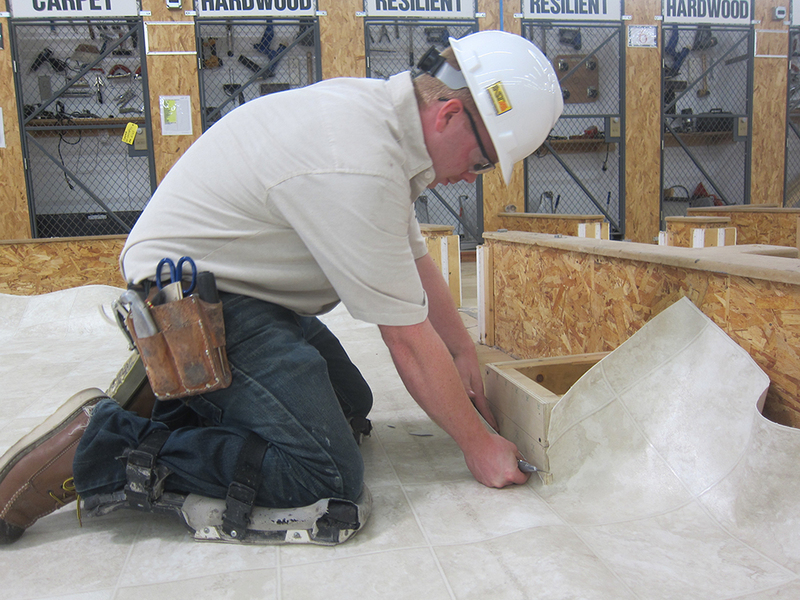 The Carpenters International Training Fund (CITF) offers a full range of training for the floor covering trade including proper handling and storage of floor coverings, proper techniques for substrate preparation and cleaning, proper tool use, plus types of adhesives and their correct application. 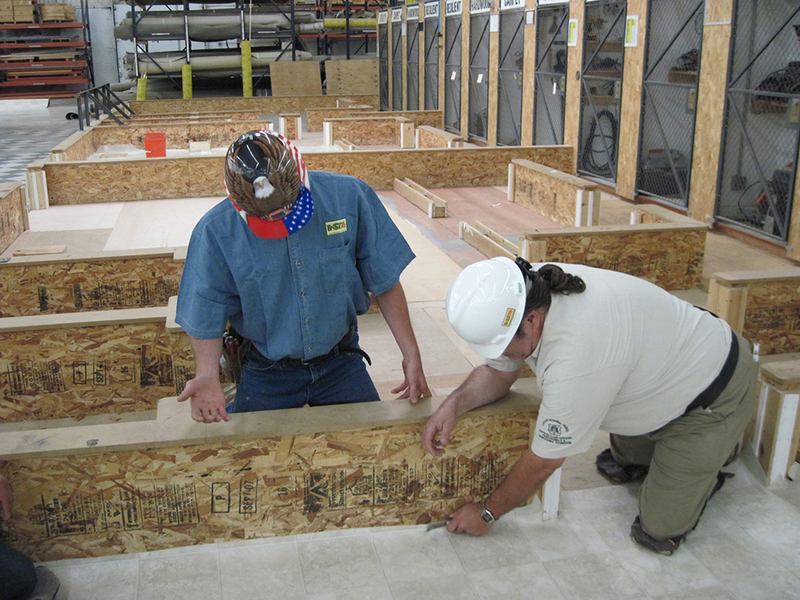 Additional training deals fully with moisture: testing procedures and the proper setup, conduct, and evaluation of moisture and pH testing procedures. All the necessary principles and procedures for layout, including measurement, determining border widths, and erecting perpendicular lines are covered. UBC members learn about pattern types and pattern matching, and gain skill in selecting and installing the appropriate transitions. Making scale drawings and reading prints are also covered.